Android has come way too far from where it started. It has been a decade now and android is literally ruling the mobile world. Almost every individual, who doesn’t use apple, uses the android. There was the time when android had nothing to start with. It was solely dependent upon Google for all its apps and data. But now, Android has built a fair bit of its own apps and software. Now that we are coming to an end of an exciting year, It is important and very exciting, to go through the android highlights of 2018, And look forward to what is about to come in 2019. In this blog, I will discuss the important features that android has offered us in 2018, And what we can expect in 2019. 2018 has introduced us with multiple killer android smartphones. Many smartphone brands have come up with awesome android beasts that have completely changed the user’s experience. Phones have become really fast and also, very affordable. We have also seen many awesome apps that have been built in 2018. Apps are what power android. With amazing apps being developed every day, Android users enjoy a lot of options to choose from. Let’s have a look at some of the amazing apps developed in 2018. Heimdall parental control– This is an amazing app, which you can download on your child’s phone and then, control their activity from your own phone. This way, you can protect your child from being exposed to content you don’t want them to be. Easy up– easy up is a great app from which, you can send small bits of video information for your employees. Instead of using other forms of communication methods, this app will really ease up your communication with your employees. Hulu– Hulu offers movies and TV shows almost instantly after they are released. You can enjoy the latest movies and shows easily with this amazing app. Spotify– Spotify is an amazing app from which you can stream any kind of music. You can add your favorite songs to your playlist and enjoy them anytime and anywhere or any device. Other than these amazing apps, we have seen a new Android P version, coming into action this year. Usage control features– Android P has brought about a dashboard feature, which tells you how much time you are spending while using a certain app. You’ll not be able to use that app anymore. This way, you can ensure safe usage of digital stuff. Gesture controls– Android P has introduced gesture controls in your smartphone. You’ll be able to access your open apps by swiping up from your home button. The whole navigation system has changed. Now instead of taps, there will be gestures. What we have seen in 2018 is surely an indication of development and progress in the coming years. 2019 will see great innovation, especially in the Android and mobile sector. Predictions are being made as to what we can expect and, they are baffling! You can’t imagine how easy life would be in the coming years! Voice assistant and advanced app interactions. Voice search is coming to action very fast. We can expect that voice search will be integrated into most of the apps by 2019. Voice search may seem something odd but, it will be the way of operation in the coming years. Also, assistants are getting popular. Google assistant, Siri, and Alexa have already made their mark. But, in the coming years, there will come apps that work in coordination with certain assistants. These apps will be customized to listen to the command of the assistant. If the command matches the task of the app, it will do it. Google’s architecture guidelines will also come into play in 2019. There will be more stable apps if people will follow the methods shown by Google. There will also, be a feature where you can use an app as a module before installation. You can unlock some of the functionality of the app before installation. Full functionality would come after you install the app. Android Development is a phase where constant upward and upgrading development is assured. What we will see in the coming years is going to be fascinating and astonishing in terms of advancements in android. 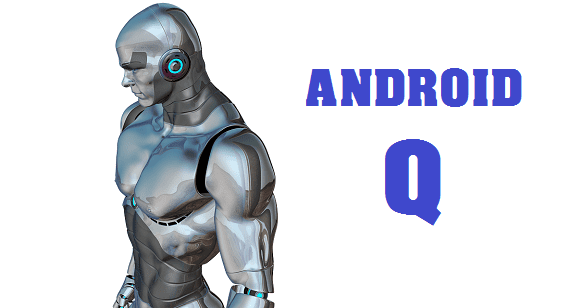 There is a lot of talks about android Q also, which is the coming version of Android. With android P, featuring some awesome features, Android Q is going to come out as a blast and with even more amazing features and advances. So, let’s sit back and behold and enjoy the change, Android brings to us. Previous Post:What is Digital Marketing? Difference between SEO and SEM?